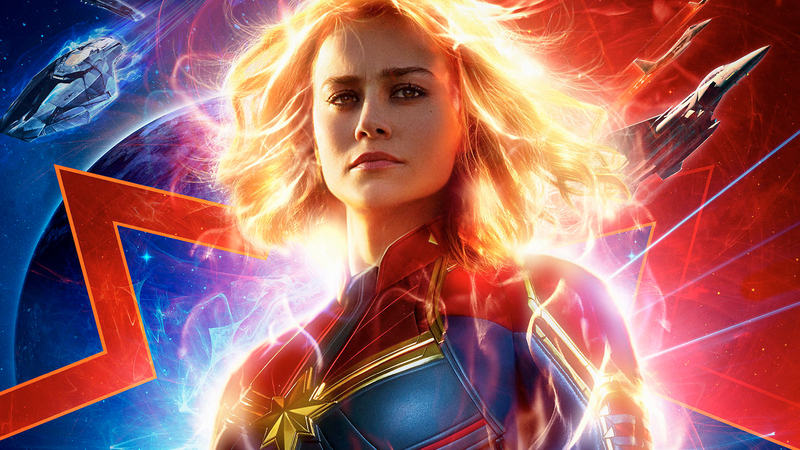 We still don’t have an official synopsis for Marvel Studios’ first female-led superhero movie, but we learn a whole lot about how Carol Danvers (Brie Larson) got her incredible powers in the latest trailer for Captain Marvel. The trailer basically gives us her entire origin story: found by an alien race of “noble warrior heroes,” Carol was infused by the Kree with the power to live a “longer, stronger, superior” life as part of their society, “reborn” as a Kree. An ongoing interstellar conflict between the Kree and the insidious shape-changing Skrulls brings Carol back to Earth where she runs into a cat-loving young Nick Fury () and becomes “Captain Marvel” to end the conflict once and for all. Not likein the comix at lal but thas okay. Looks lik a fun grrlpwr mov!